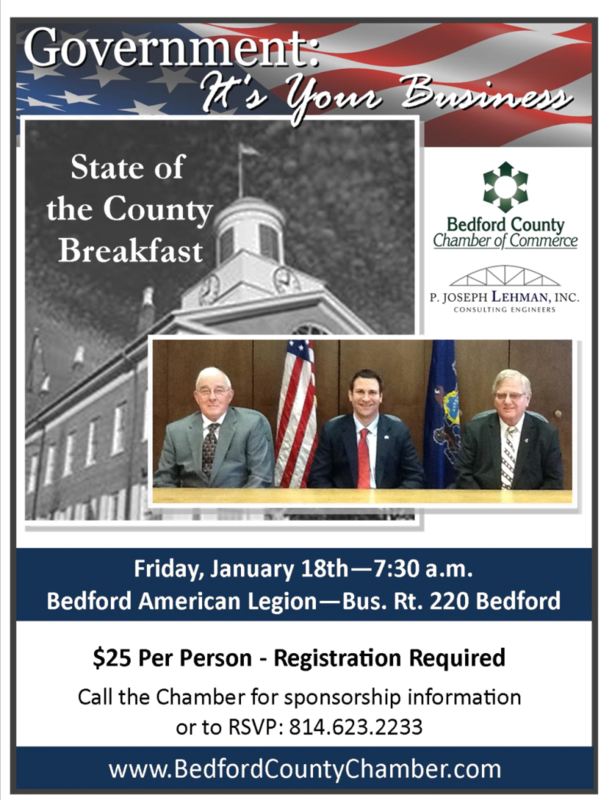 The Bedford County Chamber is pleased to announce our first Government: It’s Your Business event of 2018 – a State of the County breakfast with Bedford County Commissioners Josh Lang, Barry Dallara and Paul Crooks: Friday, January 18th at 7:30am at the Bedford American Legion. The Commissioners will share their outlooks for the county for 2019; and they will also answer questions from the audience. Cost to attend is $25 per person (registration required) and sponsorships are available.